For over a decade, AcreageLife has brought you the best tips for everything from baking the perfect loaf of bread to which livestock are best suited to your property. We also feature in-depth articles about the people who have found unique ways to utilize their acreages and the places they enjoy. 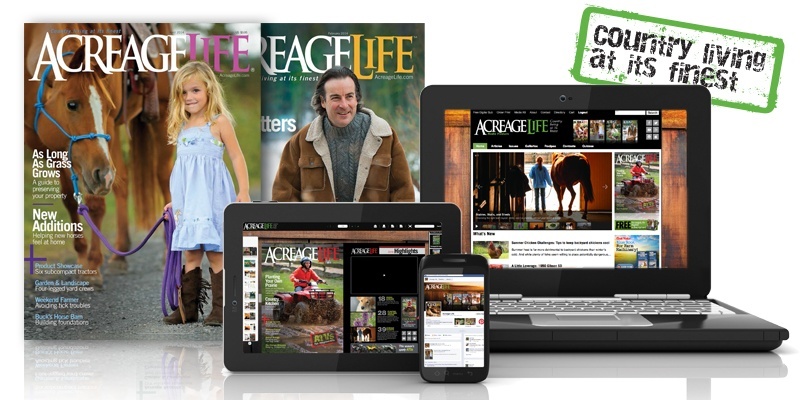 2013 marks a pinnacle year in the continuing development of AcreageLife magazine as we expand our content beyond print to include digital, web, social, and mobile assets that will encourage direct participation and make enjoying AcreageLife even easier—and better than ever. We want our readers to expect more from AcreageLife. By implementing these changes over the next year, we aim to be more than just a publication—we want to be your partner in the AcreageLife-style.